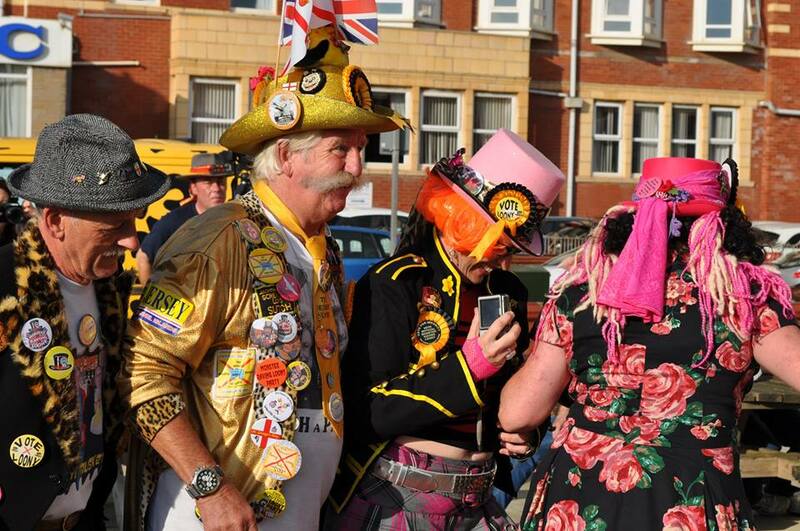 We arrived in Blackpool from all parts of the UK for the 31st ‘Official Monster Raving Loony Party’ Conference. From Jersey, Wales, Scotland, Lincolnshire, Derbyshire, Hampshire, Bedfordshire, Middlesex, Surrey, Cheshire, Lancashire, Yorkshire and many other places. We all left Blackpool thinking did we really do that, a vague memory becomes a reality in the broad daylight, yes we did do that, and what a great time we all had. I personally had been there for 10 days arranging, organising and just making sure all went to plan, well it did! Thurs 24th Sept saw some early arrivals making a good weekend of it. Friday we started to arrive in droves, meeting and greeting all day was good fun, all with the usual ‘Cheeky Loony’ grin on our faces. 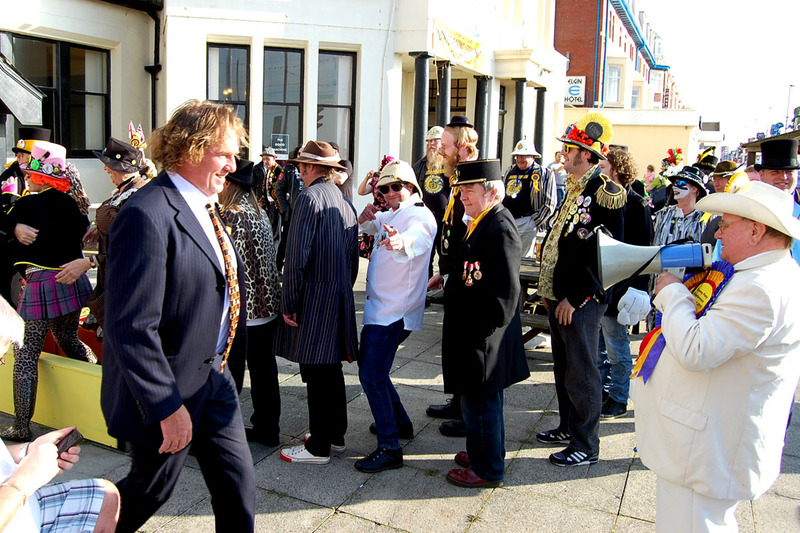 We were all suitably entertained by ‘The Full Fat Boogie Band’ on the Friday night, one of Blackpools finest bands, and certainly lived up to their reputation, well done boys. Chinners and our Party Leader, each got up and did a spot with them, as per usual, it just has to be done. 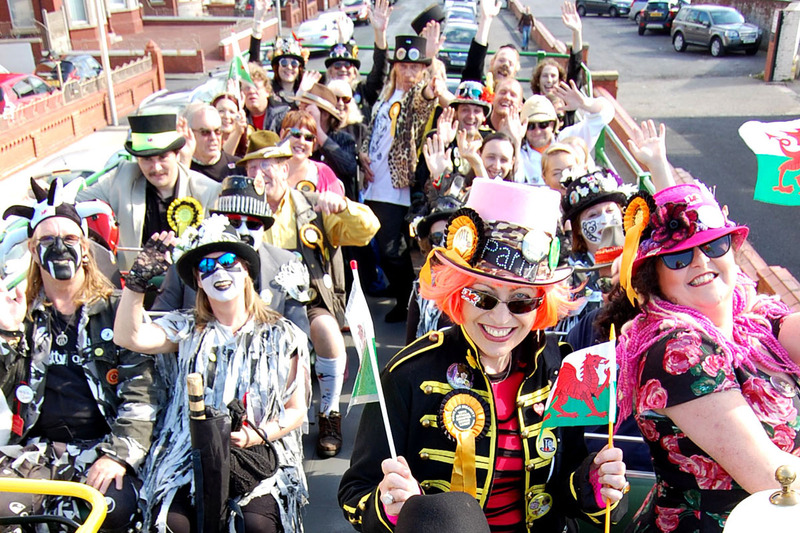 Saturday, WOW, we went on an open top bus ride on a tour of the local Wetherspoons, not a pub crawl, more of a pub ball, we were dancing and singing along with the BUMS ‘Border Urban Morris Side’ from Wales. 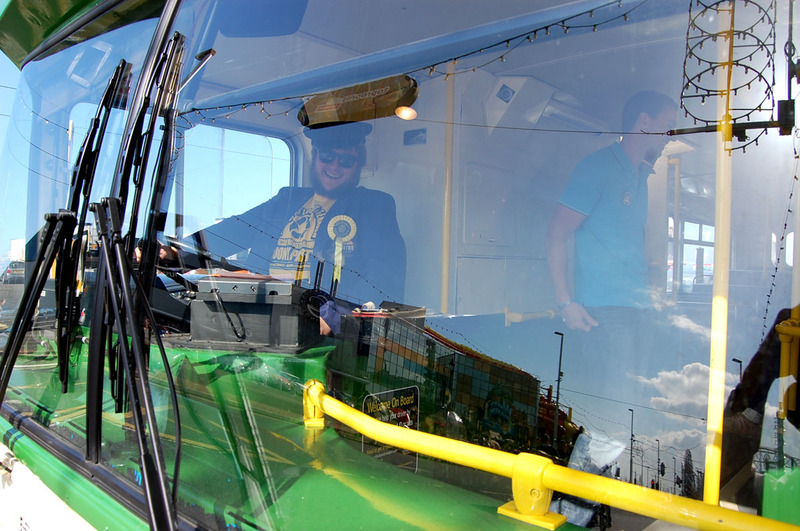 Blackpool took to us like we were returning hero’s and gave us a great roar of approval, the buzz was that there was more interest from the ordinary man on the street about this conference, than all other political conferences ever held in Blackpool. Thanks to the ‘Blackpool Gazette’ and the latest ‘Wetherspoon Magazine’, our coverage was phenomenal. 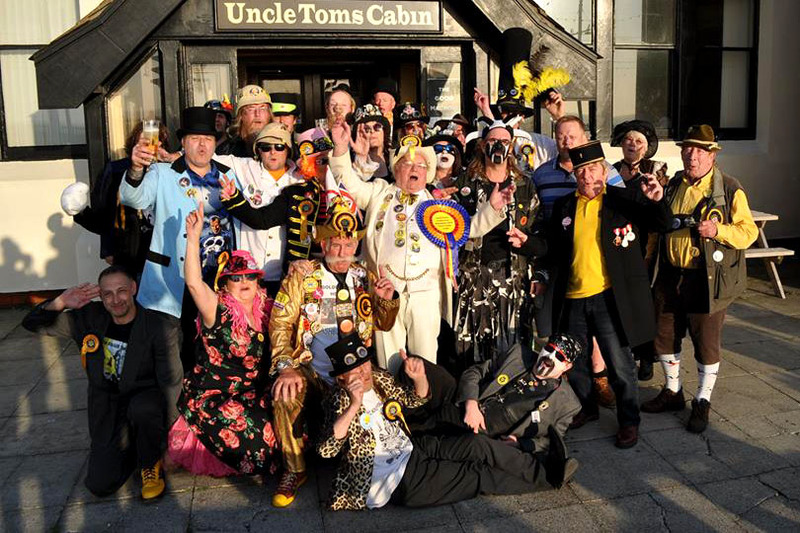 After about four hours we decided that it was time for our world famous ‘Cabinet Reshuffle’ so back we went to our Conference Venue, ‘Uncle Toms Cabin’ North Shore. Very pleased to report that there were no splits in the cabinet, and the doors didn’t fall off this year. The actual conference its self didn’t last too long, short and sweet and to the point. All that stood in the recent General and Local elections were congratulated, no new resolutions were passed, our membership continues to rise, our bank balance is quite healthy. 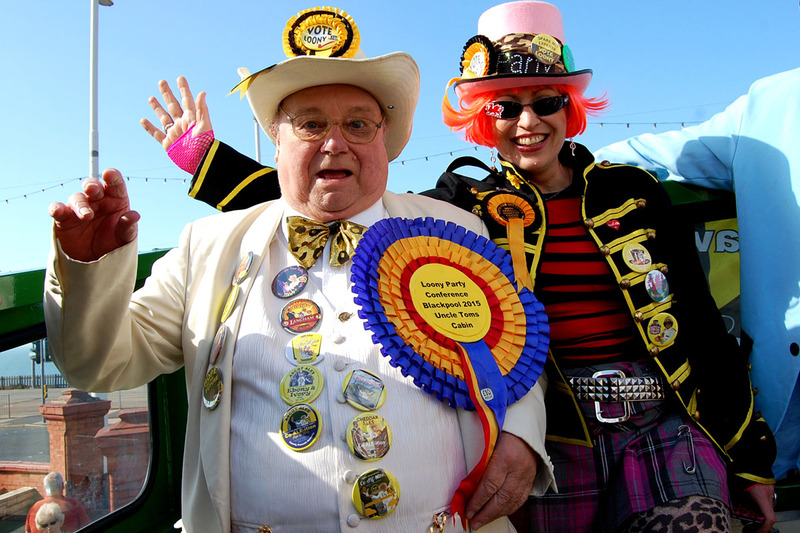 Next May, we intend putting 25 candidates forward for the Welsh assembly, if this happens we will then be entitled to our very first ‘Party Political Broadcast’, it will be the only one that people will dash home to turn on, only on ‘Welsh Television’ mind you, but so what, another ‘Loony Milestone’. And so on with the show! Saturday Night an even bigger Wow, the evening started with ‘The Big Fibbers’ as usual, then ‘Vaults 109’ once again a local Blackpool band, very good they were too, followed by Mr Bad Axe himself, nice to see he had a new ‘G-string’ this year. And then the stars of the whole weekend, ‘Vince Rippers Rodent Road Show’ WOW, we didn’t expect anything so professional and so amazing, it was an astounding experience, just to be in the same room as them. Absolutely astonishing! I say stars, well on stage they were, but brightest stars of the whole shindig were Tony Davies our tour bus driver, he paid for the hire of the bus, Vince Cornwall for all the help he gave me, the wonderful Jo Jacklin of ‘Uncle Toms Cabin’ and her staff, not forgetting Simon and Rhona in the ‘New Guilderoy Hotel’ for putting up with us, and thoroughly enjoying themselves as well. All party members might I add! But, the greatest stars of all, are those that shine down on the ‘Loony Party’ yes, you, all those that came along, because without you this could not happen. I am more than pleased to announce that next year 2016, the 32nd conference is heading for ‘Dreamland’ in Margate in Kent, all being well, Although Skegness was mentioned, and our American branch in Tallahassee have invited us to go out there. Plus would you believe Blackpool want us back again. Kent is the favourite at the moment. Keep looking at www.loonyparty.com -, it will keep you informed. 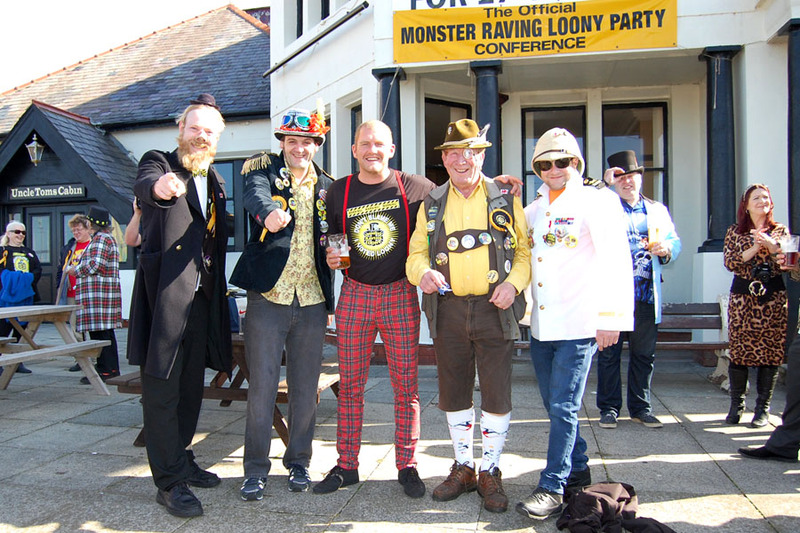 In the meantime don’t stop being Loony, its what the world was made for, if we carry on this way, it wont be long before we reach our ultimate aim and rule the Looniverse!! !